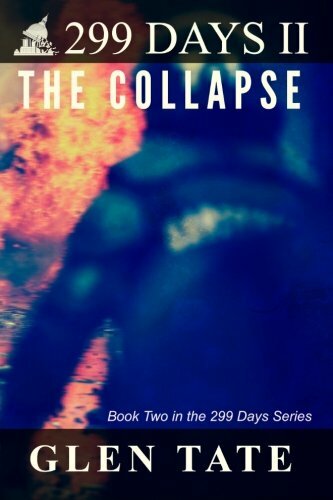 299 Days: The Collapse (Volume 2): Picking up where The Preparation ended, the collapse begins to unfold in this second book of the 299 Days series. In The Collapse, the government stops working, guns and ammo are in high demand, and a trip to the gas station has become a mission rather than an errand. Grant and the Team see these warning signs and know it is only the beginning, so they begin taking action to protect themselves and their loved ones. As they prepare to get out of dodge after a deadly incident in Grant's neighborhood, they will soon learn whether the preparations they made in Book One will be enough to survive the breakdown of society, or if they don't stand a chance against greed and violence in the face of a collapse. The resulting chaos and fear that begins to envelop the country will strip all of the characters of what they know to normal, and will require them to question what they will stand for, what they will stand up against, and, most importantly, who they will stand with.